Here is number four in the Peddars Way series. I drew and photographed this one in September, on the second day that my sister and I walked the Peddars Way, which crosses the A148 and then ascends quite steeply up to a plateau like area called Harpley Common. But the valley – I was looking back south into the valley – is called Harpley Dams, although apparently no-one knows the derivation of the name. Harpley is the name of the nearby village. But ‘Dams’ is a bit of mystery, although the trail guide suggests that it may refer to sheep, as ‘dam’ is the name for a mother sheep, and sheep were once a regular sight on the common. 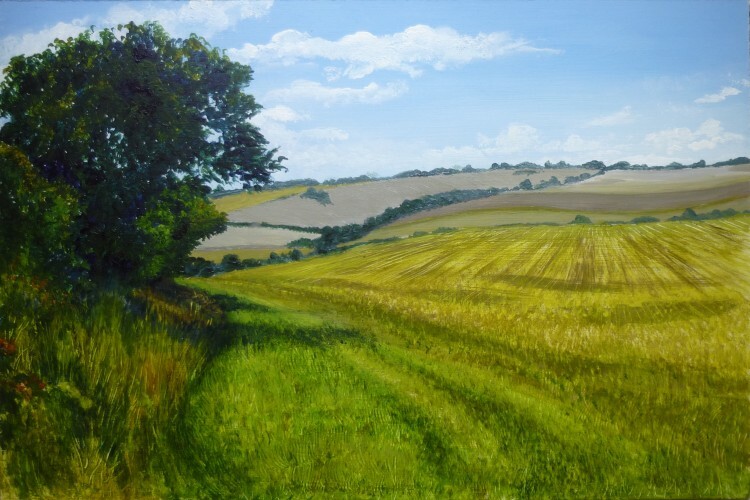 This one is just acrylic, and I particularly liked the way all the field and hedge lines swoop and curve about. I think there are two more Peddars Way paintings to come – I have started number five already! 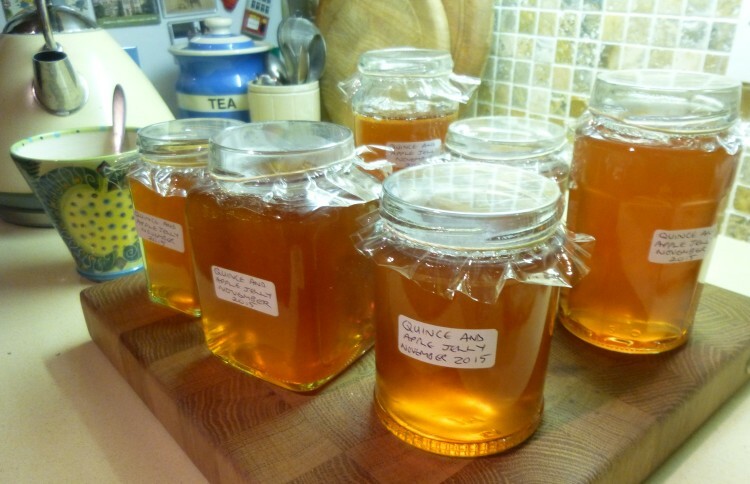 Yesterday I spent the evening potting up this beautiful quince and apple jelly. Apples from my sister’s garden, and quinces from Waitrose! The quinces were HUGE!! All weighed over half a pound, and one was over three quarters of a pound. A lovely shot of colour for a November day!